If you're raising funds for a nonprofit, you may be considering seeking grants from foundations and the government. However, some grant funding may come with big strings attached and very little cash -- so how do you decide whether a grant is worth pursuing? 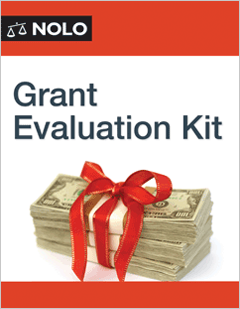 Don't compromise your organization's core mission by being tied to grant restrictions and requirements -- let Nolo's Grant Evaluation Kit keep your nonprofit on track to fundraising success.